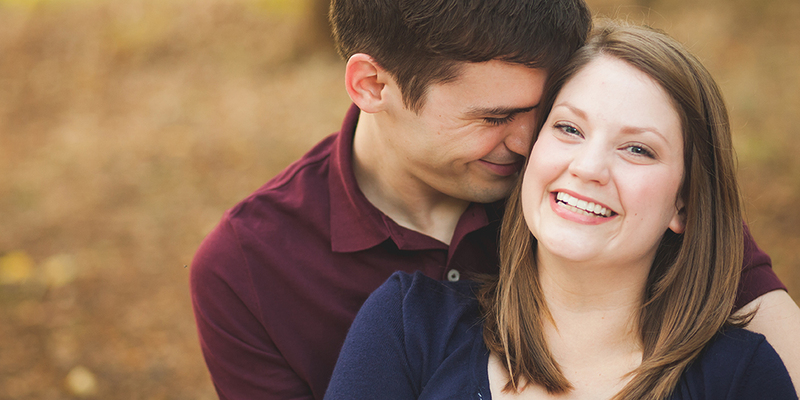 I had so much fun shooting Keeley & Lance's engagement session. Southwind Hills Barn Venue's grounds are so insanely beautiful and the redbuds were in full bloom! I'm looking forward to going back for their wedding in July! Here are a few of my favorites from their shoot. Lance and Chris contacted me a few weeks ago about photographing their spring wedding. As soon as we met, I knew it was meant to be; we instantly clicked. These guys are some of my new favorite people and I'm beyond excited to capture their wedding in May. They are getting married at the Sam Noble Museum of Natural History in Norman which is also where we shot their engagement session. Here are a few of my favorites from their session. Alan contacted me last on a Thursday about photographing his proposal to his now fiancé Erika that Saturday. I was helping a good friend shoot a wedding that day, but I could not pass up the opportunity to photograph it! Proposals are such an adrenaline rush and sometimes I'm an adrenaline junky (which is why I love photographing births). Any who, Erika obviously said yes and now they're happily engaged! Also, totally adorable. Oh, also, in some of the pictures you can see a guy behind the tree snapping photos on his iPhone. It was a very sweet gesture and he even came over and asked me if I'd like the pictures he took. Of course, we didn't need them since Alan had it all taken care of, but it just goes to show, there are some really nice people in the world. Matt contacted me about photographing his proposal to his (now) fiancé Shannon! I love proposals so I was super excited. He proposed at the Myriad Botanical Gardens in OKC and although it was drizzly and dark, it was a gorgeous moment and I'm thrilled I got to be there to capture it! Congratulations, you two! I was so excited when Meredith contacted me to photograph her wedding. She was getting married at Thunderbird Chapel in Norman, OK and for those of you who don't know, that's where I got married three years ago, so I was over the moon about going back! Meredith and I clicked instantly. She is so sweet and I knew her wedding was going to be just as amazing as she was. I was surprised when I saw her coral dress that she'd chosen to wear, but not at all disappointed because it was fabulous! I'm so glad I got to be a part of Keith & Meredith's wedding day. It was a beautiful day and a beautiful wedding. Lynna & Ty are such a great couple. The first time I met them I had to take my little one along and Ty was so good with her, it was the sweetest thing. You know you've picked a good guy when he loves kids. Ty was attending school in Shawnee, OK at the time, so I drove there to do the first half of their session in the downtown area. Then a few weeks later, they came to me to do the rest of it. I found the coolest field right here in Noble. Who knew it was right under my nose the whole time?! Ashley & Lamar are, aside from totally gorgeous, such a sweet couple. We had so much fun hiking the ten minute hike to get to this awesome location that I thought would be perfect for their engagement session. As sand filled up our shoes, we decided to just forget shoes altogether and go at it barefoot, barefoot is my favorite way to travel anyway. We had so much fun in the water and sand, but Beirut was in total heaven. We eventually got him to sit down for one photo, but he was too busy exploring to sit down for much more. These two are getting married in Colorado this summer and I can bet it's going to be absolutely beautiful. Congratulations, guys.